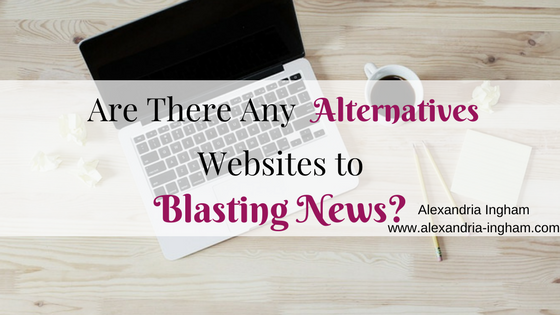 Are There Any Blasting News Alternatives? If you’ve found me here, you’re looking for Blasting News alternatives because you don’t like the site. You love the writing but it’s not paying enough or you don’t trust the site owners. Quite honestly I understand it. I get a lot of questions about other places to write and I wish I could just give you a list of the best places to go to make thousands of dollars each month. The sad truth is that the pay per view model is partially dying. And sites where it isn’t dying have changed considerably. It’s just not as lucrative as it once seemed. Part of that is the fact that sites aren’t paying enough but another issue is the changes that Google made more than seven years ago. It does make Blasting News alternatives a little hard. But I’m going to try to make some suggestions. Now I will say that I haven’t tried all these sites. But either I know people who have or they’ve been recommended to me by others in the past. Some of them I haven’t tried because I didn’t have the time to take them on when opportunities arose and others because they just weren’t for me. The first I’ll mention is Hidden Remote. This is one that I covered recently with a positive review. The site is dedicated to all things TV and movie related, and that includes streaming services. While the site “only” pays $1 per 1,000 views, it’s relatively easy to get those thousand views on one individual article. In fact I come out with 100,000+ views every single month. There is a commitment of eight articles a month, which equates to two a week. The best part is the writing for them is easy. All my Hidden Remote money builds up my Comic Con and holiday funds. It’s not because it’s pocket change, but because that was what I always dedicate pay per view writing for. Hidden Remote is part of the FanSided brand. There are plenty of opportunities within the brand, whether you’re into sports, reality TV, or specific genre shows. I actually currently write at the Supernatural and Outlander sites because they’re the two shows I love writing about. I know people who write about Doctor Who, the Kardashians, everything Netflix, the individual football teams, and much more. There really is something for everyone, as long as you’re not looking for just general news. One of the great things about FanSided is there’s a full team to support you. There are editors on the sites who will help brainstorm ideas and a legal team for when there’s been an issue of someone stealing your content. Editors will promote your content on the sites’ Twitter and Facebook profiles, although you’re also encouraged to promote your own content. I’ve had multiple interview opportunities through the sites, which is a bonus. Some of these interviews have included with people from Van Helsing, Chicago Fire, and The Originals. Have you seen vacancies for the Valnet brands? This is the brand that oversees the likes of Screen Rant, Comic Book Resources and Baby Gaga. There are many others and they could make a Blasting New alternative for you. It’s a brand I don’t have personal experience with, except a one-off piece for Screen Rant. Quite honestly, the piece took a while but there’s a very strict style guide to follow. Maybe if I did more then I would have found the styling a lot easier. The topics just didn’t end up being quite what I expected. The Valnet brand pays a minimum amount and then a pay per view on top of that for a month. I’m not sure if each site has its own base and then pay per view rate and I can’t remember the exact amounts either. The great news is payment is on time without having to send off any invoices. Screen Rant tends to cover TV and movies, while Comic Book Resources is about the comic books. There is some crossover with Screen Rant at times, depending on the current flavor of the month. That’s something to keep in mind. If you want something that’s closer to Blasting News, then The Daily Voice News might be more up your alley. The downside is the site isn’t in Google News yet. Once it gets in, there’s hope for the site that it will grow. It just needs more writers to produce more content to be able to do that. The site pays $2 per 1,000 views. All payments are on time each month, as long as you have a minimum of $5. That beats the $10 for Blasting News. There’s also not 30-day time period for earning. Your content will continue to earn as long as it’s on the site. I’ve written there and enjoy working with the site owners. I stopped last year purely due to time constraints with other projects I’d taken on. However, all payments were made on time, I enjoyed writing about news that was interesting, and learning more about SEO. There are duplication rules, so you can’t write on a topic someone else already has, but there’s a Facebook group where you can claim your topic, as long as it’s not in someone else’s beat (they get first dibs if it is). If you don’t want to write about news, you can opt for some of the sister sites. Writedge and Daily Two Cents are the two main ones, but there’s also Penstrokes for fiction writing fans and Honest Reviewz for those who like to write honest reviews. 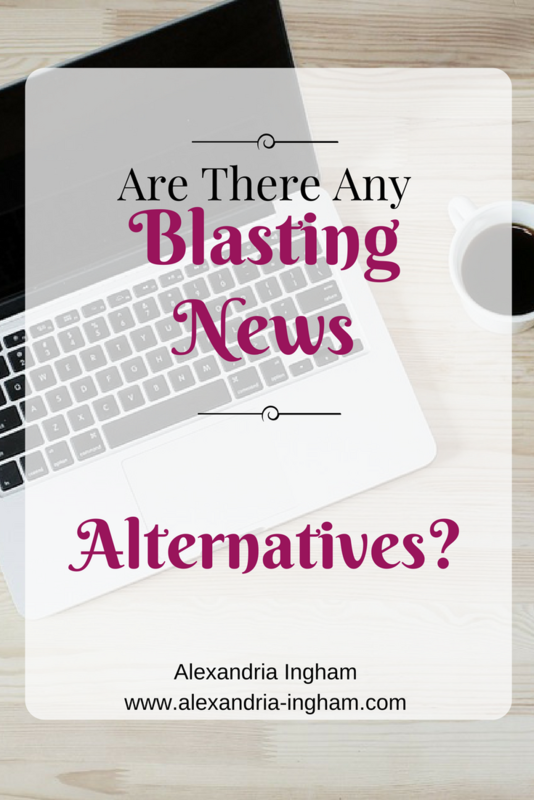 Do you have Blasting News alternatives that I should know about or that you want me to research? Let me know either in the comments or via email and I’ll do my research. Hopefully for those without options will find some solace that pay per view isn’t completely dead, but it has changed and there are some options out there. I still recommend getting private clients. Sign up for my FREE 5-week mini course and pitching checklist to get started. Is Pay Per View for Writers Dying? Thanks for sharing. I just don’t like Blasting News again. One of the alternatives to PPV is of course to start your own site and use Adsense to generate income. Given that PPV now gives poor returns compared to what used to be this is good alternative. The only snag is that it can take time and a lot of hard work to build up a successful site. Worth it in the long run though. Blasting news make me so mad, i really needed the alternatives! Hello. Are you still writing for The Daily Voice News ? Can you send us a link? Thank you! The Daily Voice News closed down a while ago, unfortunately. Is Writing for Media Shower Worth Your Time? Is PeoplePerHour Worth Your Time as a Freelance Writer?